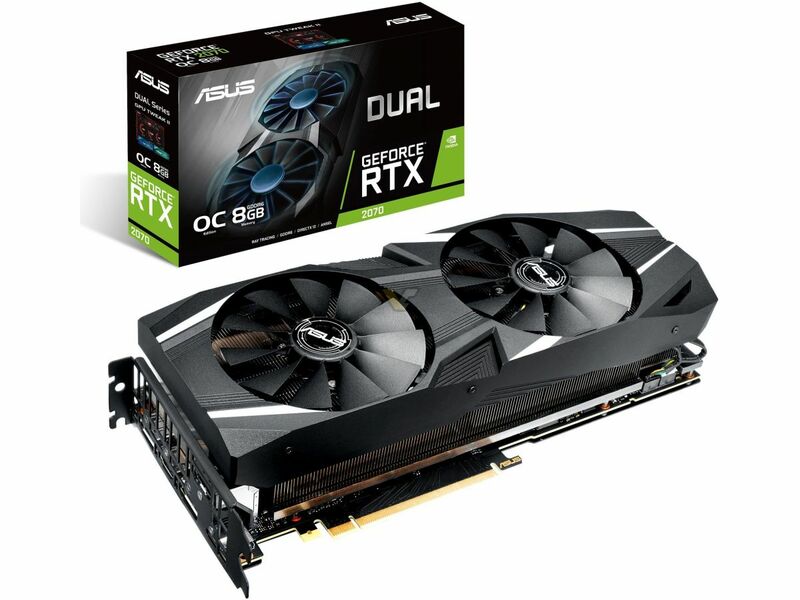 Not a single GeForce RTX graphics card from ASUS has officially listed GPU frequency. At this point, you may ask, what’s the difference between all these cards? Well, there is only one way to find out: “JUST BUY IT”. 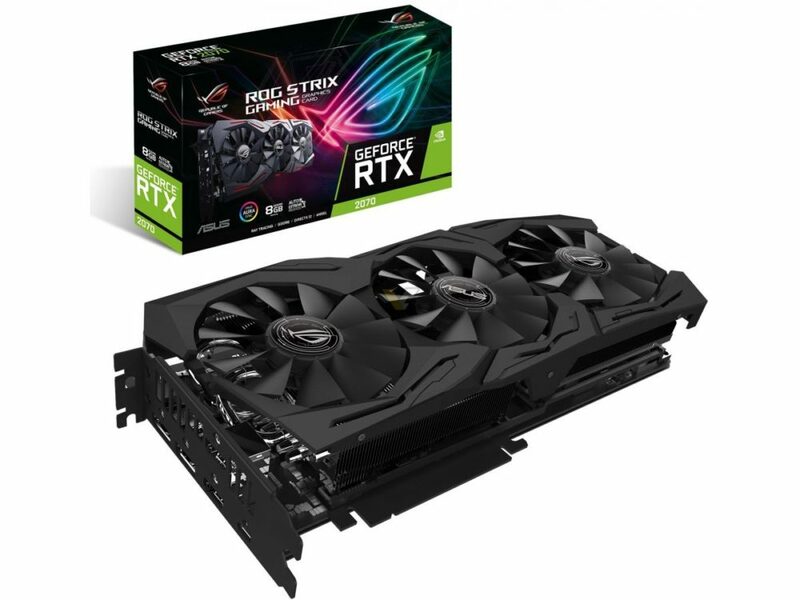 The ROG STRIX 2070 appears to be 2.5-slot design. 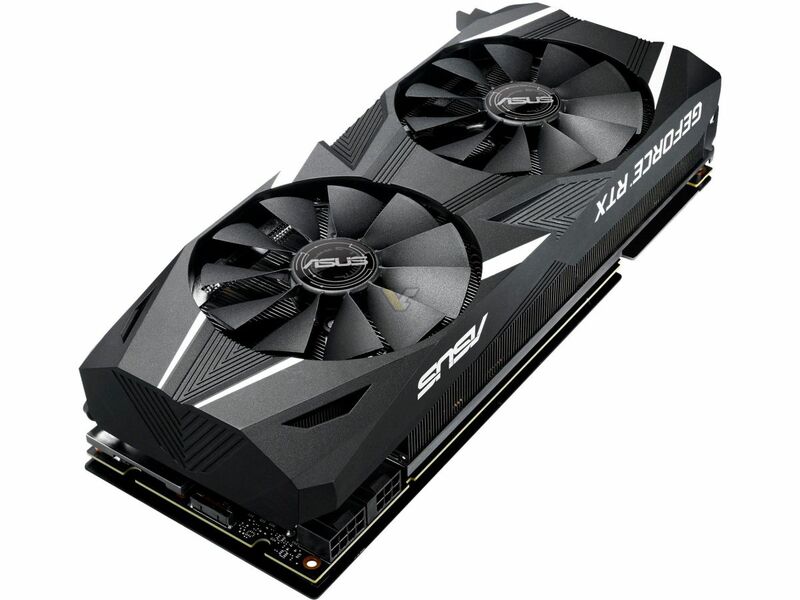 The cards are equipped with three fans, but notice that they are different from RTX 2080 and RTX 2080 Ti series. The card features 6+8-pin power connectors. 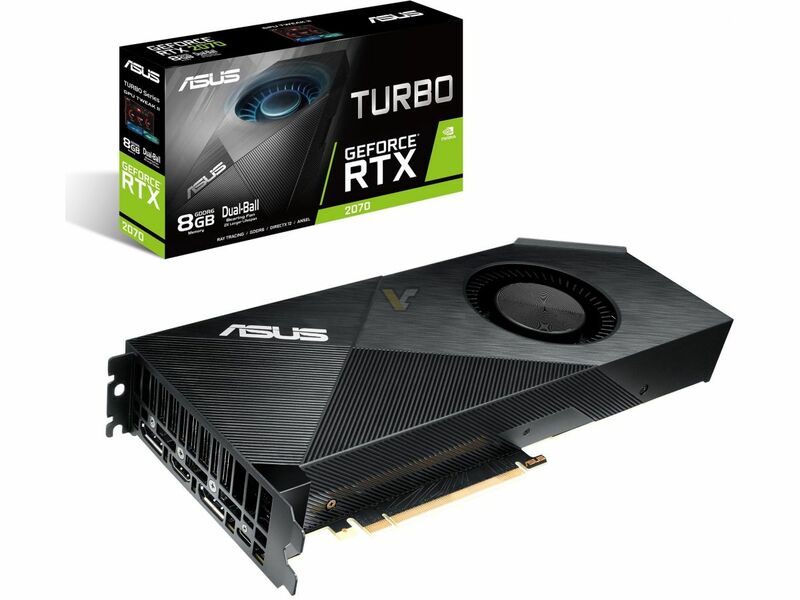 All three variants will only differ in clock speeds. 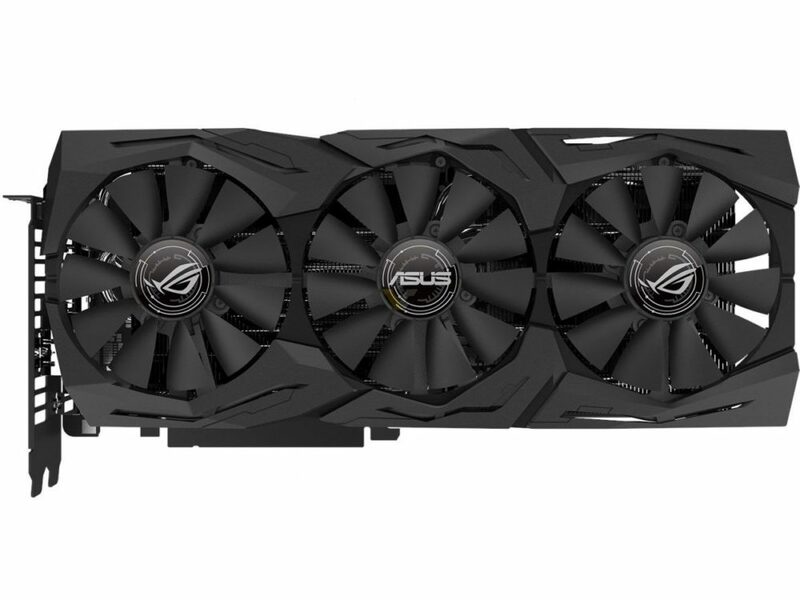 The DUAL series from ASUS have a 2.5-3 slot design and non-standard power delivery (6+8pin). There is only one Turbo, likely retaining ‘reference clocks’, which are 1410/1620 MHz. Unfortunately, ASUS did not confirm this information, so it’s a wild guess. 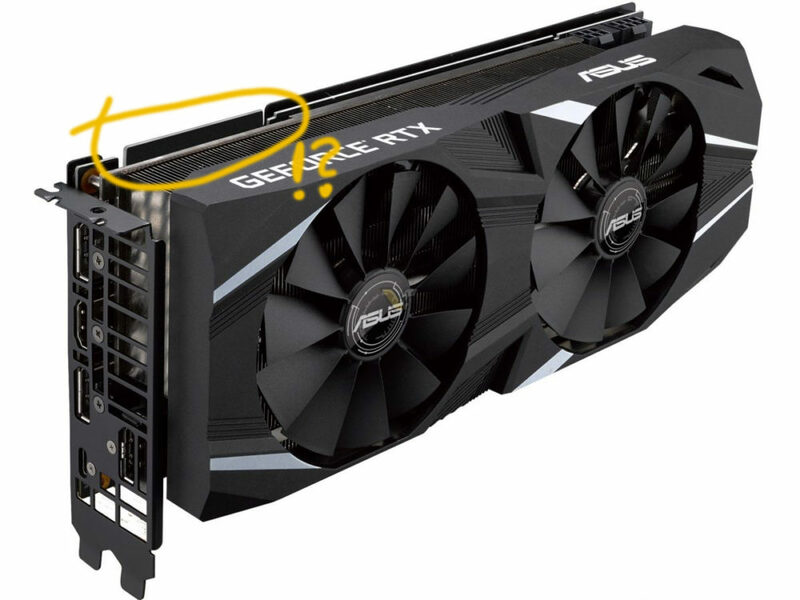 The tiny translucent stripe next to GeForce RTX logo is illuminated by RGB LEDs, by the way. 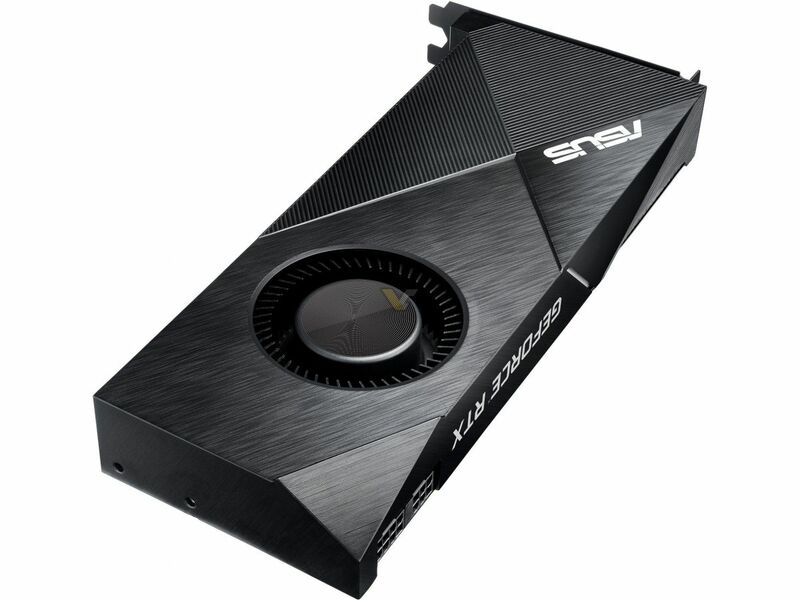 Check ASUS GeForce 20 series at VideoCardz.net for more pictures.